Pakistan is inflicted with large numbers of diseases and some of the reasons for these afflictions are leadership crisis, feudalism, weak governance, financial mismanagement, rampant corruption and crime, weak judicial system, lack of accountability, non-adherence to rule of law, political polarization, tense civil-military relations, provincialism, lack of nationalism and above all India’s meddlesome role which wants to keep Pakistan politically unstable, economically weak and militarily fragile. These diseases have given rise to religious extremism and terrorism and impeded Pakistan’s progress. 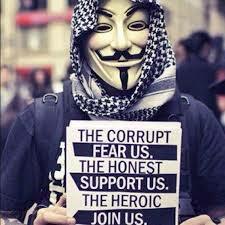 Among the ailments, corruption has become cancerous and is contaminating the moral turpitude of the society. In order to control this cancerous disease, our leaders have been making some token efforts but none succeeded in curing it since all went for symptoms and none made any effort to cure it. PML whose leadership was wholly from India soon got factionalised and lost its shine in 1954 after getting defeated at the hands of Jugto Front in East Pakistan. It made no effort to end feudalism and absentee landlordism and to integrate the society. East-West wrangling over power and security concerns impelled our leaders to accord higher priority to defence over development. To deal with corruption among the politicians, Liaquat Ali Khan introduced PRADA. Ayub Khan enforced EBDO to keep parasitic politicians out of power but couldn’t keep them out for long. Gen Yahya Khan sacked 303 officials to put sense in corrupt bureaucracy but the effort proved elusive. He presided over the breakup of Pakistan into two in 1971. ZA Bhutto sacked large numbers of senior military officers and set up Hamoodur Rahman Commission to probe East Pakistan debacle to rein in military establishment but failed. He created dreaded FSF and opened up Dalai Camp to put fear into the hearts of his political opponents but couldn’t. In his bid to alleviate the poor he inculcated indiscipline in the society. His promotion of secularism antagonized the Islamists and widened Islamic-secular divide. In his bid to discipline the unruly Jayalas, Gen Ziaul Haq setup Qazi courts and whipped the offenders but it made little difference except for inculcating never ending hatred of the PPP against him. During his tenure religious extremism and sectarianism gathered pace due to seeping in of Kalashnikov and drug cultures from Afghanistan. During Benazir’s two tenures corruption increased. PML-N in its second tenure in 1990s established Ehtesab Bureau to deal with large-scale corruption cases of PPP leaders and affiliated bureaucrats but the judiciary couldn’t convict any. Era of 1990s heightened political polarization. Gen Musharraf formed much trumpeted NAB but soon it gave in to political expediency and NAB became a tool to garner political support and to victimize opponents. His pro-western policies, compromise on Kashmir and promotion of secularism under the garb of enlightened moderation provoked the Islamists and intensified religious extremism. Military operation was launched in Sindh by Nawaz in 1992 to deal with dacoits and criminals but it was halted midstream by Nawaz Sharif owing to political expediency. Decision was taken despite knowing that MQM was linked with RAW and recovering Jinnahpur maps and flags from MQM unit offices. This lapse proved very expensive. Another Rangers-Police operation was launched during Benazir’s second tenure in 1995/96 but it too was called off before breaking the back of criminals affiliated with MQM. Besides lack of political will, other reason for failure of the two operations to rid Karachi of criminals was poor performance of the judiciary which let off all arrested criminals for want of evidence. The MQM known to be having an armed wing and involved in heinous crimes since 1984 remained in government in Sindh and in the centre as a coalition partner with PPP and PML-N all along. MQM gained extra ordinary strength during the nine year rule of Gen Musharraf. His worst sin was issuance of infamous NRO in October 2007 essentially meant to cleanse PPP leadership and bring the party back to power. Not only the corrupt leaders of PPP indicted in corruption charges were absolved, 8000 MQM leaders and workers involved in heinous crimes were also pardoned. As a consequence, the MQM in league with PPP wrecked havoc in Sindh during their rule from 2008 till March 2013. RAW in league with MQM and helped by PPP choked the jugular vein to suffocate Pakistan. Whatever actions taken against corruption in the past were at best cosmetic. No consistent effort was ever put in to root out this evil which has contaminated the moral turpitude of the society as whole. Whatever efforts made were at best aimed at treating the symptoms and not curing the disease. The elites involved in mega corruption were hardly touched. Most were let off after plea bargain. As a result, fascination for corruption kept growing and made individuals and few families dirty rich, emptied national kitty, made the country debt ridden and dependent upon foreign aid, and made the poor poorer. Corruption scaled new heights during PPP-MQM-ANP coalition black rule from March 2008 till March 2013. NAB was made toothless and accountability set aside on the plea of national reconciliation. Loot and plunder became a norm, corruption was institutionalized, merit axed and cronyism promoted. Only those who were adept in mal practices were given key jobs and the honest sidelined. As a consequence, corruption scaled new heights. State corporations became non-productive and railway, PIA and Steel Mills became white elephants. Foreign debts doubled, economy reached the verge of collapse. Pakistan suffered from worst energy crisis and was seen as a failing and irrelevant state. The ones rolling in wealth began to finance mafias, terrorists and criminal gangs to further multiply their ill-gotten wealth and protect their political power and clout. Karachi became the major den of these evil practices. Absence of security and justice forced business magnates to migrate to other countries. Karachi, which is the economic hub-centre of Pakistan, began to die a slow economic death. 2013 elections reduced PPP from national to regional party but still it learnt no lesson and not only retained aged and inept CM Qaim Ali Shah but also continued with its looting spree. Although the MQM remote controlled by Altaf Hussain from London since 1992 lost its blackmailing power for the first time after it was not made a coalition partner in Sindh and in the Centre, it continued with its criminal activities and the Sindh government looked the other way. It was owing to constantly deteriorating law and order situation in Karachi where the daily toll of deaths at the hands of unknown target killers was 10-15, that intelligence based and Rangers led operation was launched in September 2013 with the blessings of regional political parties. Substantial progress has been achieved by law enforcing agencies in Karachi against terrorists and criminals. 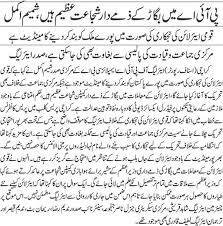 Majority of nabbed criminals belong to MQM. Lower tier MQM leaders have disclosed the involvement of their top leadership in terrorism and criminal activities. Incidents of target killings, kidnappings, extortion street crimes have been radically brought down. RAW agents are being arrested and MQM’s connection with RAW since early 1990s has been established. RAW is deeply entrenched in Sindh and it has of late shifted its base from Afghanistan to coastal belt of Pakistan where it has large numbers of brainwashed Pakistani fishermen who had been caught from the high seas and then released after months of detention and indoctrination. Urban terrorism in Karachi is yet to be fully controlled owing to presence of RAW agents and Rs 230 billion annual financial terrorism spearheaded by PPP and MQM. While the noose around the neck of MQM has been tightened, the PPP leadership which is part of the problem is yet to be collared. Arrest of some leading lights of PPP particularly Dr Asim, blue-eyed boy of Zardari, involved in corruption and their confessions have brought to light the involvement of higher leadership of PPP in financial terrorism. JIT has collected sufficient evidence, which has rattled PPP leadership. In the wake of impediments created by Sindh government and objections raised on acts of Rangers after the raid on Sindh Control Board, NAB and FIA was married up with Rangers in Sindh and operation accelerated to nab bigwigs involved in corruption and financial terrorism. This move has alarmed Sindh Government and made Asif Zardari, now based in Dubai/London nervous. He first fired his guns against the military but now he is targeting the government. PPP leaders are aping MQM by making hue and cry and are threatening the government of dire consequences. Both the MQM and PPP leaders are wailing as to why their workers/leaders are being arrested on charges of terrorism, criminal acts and corruption and pushed against the wall. They say why only Sindh politicians/officials are being targeted and why not Punjab politicians/officials. On one hand corruption is eating into the vitals of the country like termite; terrorism has shaken the foundations of Pakistan. Terrorism is relatively a new phenomenon which was deliberately pushed into Pakistan after 9/11 by scheming foreign powers harboring dangerous designs. Ongoing efforts till recent have remained focused against terrorism while other hazards were looked the other way under the flawed concept of national reconciliation. FATA, Swat and Baluchistan and later on Karachi became the hub of terrorism. Terrorists were financed, equipped and trained by RAW and other anti-Pakistan intelligence agencies as well as local elites. Operation Zarb-e-Azb launched in June 2014 in the wake of terrorist attack on Karachi airport and accelerated after Peshawar School tragedy on December 16, 2014 succeeded in dismantling main base camp of terrorists in North Waziristan. Last toehold of militants in Shawal Valley in Datta Khel district is being cleared. Likewise separatist movement in Balochistan has to a large extent been defused. Abettors and sympathizers of terrorists residing in urban centres are also being taken to task. National Action Plan is gradually being implemented although the progress is slow. External and internal financing has prevented security forces from bottling up terrorism. Notwithstanding the fact that Pak security forces have dismantled the network, command & control centres, communication network, training grounds of militants in FATA and broken their back, sporadic acts of terror are still taking place since their bases are still active in Kunar, Nuristan and Nangarhar. Absconding Fazlullah and Khalid Khurasani are being fully patronized by Afghan NDS and elements of Afghan Army. Latest attack on Badaber camp was planned by Khurasani. Former President Hamid Karzai and Dr Abdullah who are pro-India are supporting cross border terrorism. President Ashraf Ghani wants to get closer to Pakistan but he is weak since he lacks political roots. After few months of bonhomie, he has started to speak the language of Karzai and Abdullah against Pakistan. India has a big hand in keeping Afghan-Pakistan relations tense. RAW is making frantic efforts to further destabilize troubled regions of Pakistan and to scuttle under-construction China-Pakistan economic corridor since it knows its commissioning will make Pakistan strong and prosperous. It knows that CPEC will defeat Indo-US plan to encircle Pakistan and China and foil establishment of the US Asia pivot. Besides covert operations, India has also heated up the LoC in Kashmir and working boundary in Sialkot sector and has adopted a highly belligerent posture to overawe Pakistan. Opposition leader Khurshid Shah is advising the military to focus its attention towards the borders rather than towards the misdoings of political forces. Slogan of ‘democracy is in danger’ is being raised. In simple words, corrupt politicians want a free hand to indulge in mal practices and to promote sham democracy. They are least bothered about India’s aggression along the LoC and Working Boundary or about national interests but are extremely worried that their selfish interests which are in jeopardy. The Army chief wants to expose all faces abetting, harboring, financing and helping the terrorists while the MQM and PPP wanting to hide and protect them as well as their ill-gotten wealth are making concerted efforts to fail the operation or as a minimum slow it down. The government on the other hand is continuing to follow self-defeating policy of appeasement towards India and has yet to take tangible steps to expose Indian jingoism and terrorism in Pakistan despite having tons of proofs of involvement of RAW in Balochistan and Karachi. For unknown reasons it has been reluctant to take up the case to the UN and to mount a diplomatic and media offensive to expose the ugly face of India. It is high time an astute and seasoned Foreign Minister is appointed. Internally, pressure generated by PPP, MQM as well as PTI is unnerving Nawaz Sharif and he is fearful that political parties are ganging up to de-seat him. Tied to Charter of Democracy with PPP, he wants to terminate Karachi operation before the big fish are netted particularly because of his apprehension that sooner than later the hand of NAB will fall on PML-N as well. After-all, all have been bathing in the same tub. He is finding himself in a fix because of pressure from military establishment and the public both wanting to take Operation Zarb-e-Azb as well as Karachi operation to their logical end. Gen Raheel Sharif has on several occasions expressed his resolve not to rest till complete elimination of terrorism and those promoting it. Gen Raheel’s growing popularity because of his exemplary personal conduct is another upsetting factor for Nawaz. He has not forgotten his rough experiences with Gen Kakar and Gen Musharraf and cannot altogether rule out repeat of similar action, particularly when the people and vested groups want the Army to takeover and rid the country of multiple diseases. It is now to be seen how long Nawaz will remain firm and aligned with the Army against the PPP and MQM. It is in his interest and Pakistan’s interest to back up the military engaged in battling vermin and foreign paid militants incapacitating Pakistan. Towards this end, the government should make strenuous efforts to operationalise all 20 points of NAP as soon as possible and help the Army in knocking off all obstacles in its way and in catching the big fish to make Karachi peaceful. Delay in this will benefit the MQM the most, which is busy poisoning the minds of Urdu speaking Karachiites that the operation is Muhajir specific to hand over political power to other communities. There is a need to revisit 18th Amendment particularly after Zardari and Altaf outbursts, both playing Sindhi and Muhajir cards respectively. Either the germs of regionalism and fissiparous tendencies in smaller provinces should be killed by making efforts to integrate the divided society, or else 18th Amendment which is recipe for fragmentation of Pakistan, should be set aside. Steps must be taken to prevent cross border terrorism from Afghan soil. Strategy to pullout regular troops from war on terror must be worked out. Kashmir issue must be highlighted with full force. To effectively counter the internal/external challenges it is important to put own house in order, gear up accountability process and keep civil-military relations harmonious. India’s Unrealistic Counterinsurgency Strategy By Sajjad Shaukat Learning no lesson from the past, and depending upon state terrorism, Indian Central Government has finalized the raising of Indian Reserve Police Battalions (IRBPs) in Indian Occupied Kashmir (IOK) and Naxal/Maoist hit states or Left Wing Extremism (LWE) areas, Andhra Pradesh and Telangana. Out of the total 25 IRBPs proposed, five will be for IOK and 12 for LWE affected states whereas rest of 8, IRBPs for other states. These battalions will be raised by recruiting local youths. In case of Naxal hit states, 75 per cent vacancies will be filled up by youths from the 27 worst-affected districts. In IOK, the recruitment process will concentrate on insurgency prone areas. At present, there are 144 IRPBs in various states. In addition, Central Government has recently approved raising of eight additional IRBPs, four each of Andhra Pradesh and Telangana. The cost of raising each of the battalion will be around Indian Rupee, 61 crore and 75 per cent of it will be provided by the Central Government. This cost is much lower than raising of a paramilitary battalion which costs around Rs. 160 crore. Personnel of IRBPs are normally deployed in their respective states, but they can be deployed in other states too, if there is a requirement. The current raising is outcome of demand by respective states government in wake of the ever growing/persistence insurgency and freedom struggle. Within a span of approximately six months, Central Government of India has approved the demand which reflects the surge of militants/insurgent activities in the LWE hit states/ IOK. It also highlights the manifestation of focus to curb militancy and raise the force level to meet the challenges, which have been repeatedly expressed by Indian Home Minister Rajnath Singh and National Security Adviser Ajit Doval. Minister of Home Affairs Rajnath Singh has also repeatedly highlighted his focus to build the capacity of security forces engaged in fighting insurgency. The mentioned increase is a part of overall drive against Naxal/Maoist hit states and IOK. Off late the insurgent/militant activities in LWE and IOK regions have seen a significant surge whereby Central Armed Police Forces (CAPF) and Central Reserve Police Force (CRPF) have suffered causalities. Therefore, immediate attention has been paid towards the new strategy. While, despite concerted efforts—capacity, capability, weapons, equipments and training, the Indian security forces could not effectively counter/reduce the insurgent activities in these states. The recent surge of insurgents/militant activities in the Nexal affected states of India has compelled the Central Government to enhance counter insurgency efforts in other parts as well. Therefore, the Home Ministry has given a go ahead for not only raising the additional battalions, but also pursuing the support of helicopters/UAVs to cover/ assist the security forces engaged in anti-Naxal/Maoist activities in the affected states. 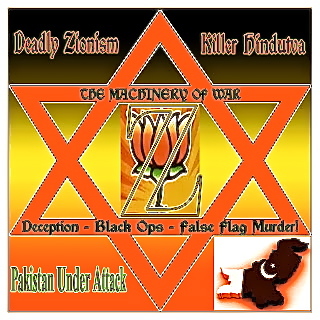 It is mentionable that under the mask of democracy and secularism, Indian subsequent regimes dominated by politicians from the Hindi heartland—Hindutva (Hindu nationalism), used brutal force ruthlessly against any move to free Assam, Kashmir, Khalistan, Mizoram, Nagaland, Tamil Nadu and Tripura where wars of liberation continue in one or the other form. In the recent years, Maoist intensified their struggle, attacking official installments. In this context, Indian media admitted that Maoists have entered the cities, expanding their activities against the Indian union. While, even under the rule of Congress which claims to be secular party, Indian extremist parties like BJP, RSS, VHP, Shiv Sina and Bajrang Dal have missed no opportunity to communalize national politics of India. They also intensified anti-Christian and anti-Muslim bloodshed. After serving the BJP for 30 years, Jaswant Singh was expelled from the party for praising Mohammad Ali Jinnah and echoing the pain of the Indian Muslims in his book, “Jinnah: India, Partition, Independence.” While pointing out the BJP’s attitude towards the minorities, Singh wrote: “Every Muslim that lives in India is a loyal Indian…look into the eyes of Indian Muslims and see the pain.” He warned in his book, if such a policy continued, “India could have third partition.” Past and present history of Balkan gives ample evidence that insurgency and movement of separatism in one country have drastic impact on other neighbouring states. Similarly, civil war and unrest either in Somalia or Sudan have affected all the states of Darfur region, while violent uprising in Egypt, Syria etc. has radicalized a number of the Middle East countries. Indian state terrorism in the Indian-held Kashmir will further radicalize India, giving a impetus to separatist movements in other regions of India. It is noteworthy that currently, more than half of India’s budget is allocated for armed forces, and defence purchases, leaving even less to lift millions of its citizens from abject poverty. Hence, various injustices have further accelerated regional and ethnic disparities in India, particularly, under the Modi government. It is worth-mentioning that the one of the important causes of the disintegration of the former Soviet Union was that its greater defence expenditure exceeded to the maximum, resulting into economic crises inside the country. In this regard, about a prolonged war in Afghanistan, the former President Gorbachev had declared it as the “bleeding wound.” However, militarization of the Soviet Union failed in controlling the movements of liberation, launched by various ethnic nationalities. On the other hand, while learning no lesson from India’s previous close friend, Indian fundamentalist Prime Minister Narendra Modi of the BJP extremist party is acting upon the similar policies. At present, undoubtedly, India is witnessing increased incidents of violence and killings related to communal violence and insurgencies. Nevertheless, such incidents project security weaknesses and failures of the Indian government in curbing insurgent tendencies and problems of the public. While, Indian government is raising Reserve Police Battalions to continue state terrorism, and on the parallel axes, announcement of rehabilitation schemes, development projects and incentives for surrender have been implemented to cope with the insurgency and uprising. It shows contradictory policy of New Delhi. Instead of redressing the grievances of the Maoists by eliminating injustices against them and the Kashmiris by granting them their legitimate right of liberation, Indian government is again acting upon brutal force to suppress these movements through force. Therefore, India’s unrealistic counterinsurgency Strategy will badly fail, culminating into political suicide of the India union. A plethora of graft, corruption at all tiers of the government in almost all departments, various kinds of scams, land grabs, land mafias, China cuttings, ghost schools, teachers and employees in various departments, water board scandals, bhatta khori and extortion by public servants as well as private set ups, money laundering, tax evasion etc. etc. – you name it – are surfacing with each passing day. Some of the cases are years old even a decade or more. Those who know such a state of affair call it all just a tip of the iceberg as according to them the actual mountain of corruption is no smaller than the Nanga Parbat !! One wonders where were all the anti-corruption and other vigilant agencies – some within the departments itself and many others independent as fully fledged departments by themselves for all these years to allow the corruption grow to this monumental scale?! Had they been vigilant and performing their duties du! tifully and responsibly the things couldn’t have gone that bad. The mere fact that we do have such a huge number of corruption cases shows that either these agencies were in cahoots with the perpetrators of such crimes or were highly derelict in the performance of their duties. In both the cases they must be made accountable before a court of law and punished severely, if found guilty, to serve as a deterrent to others in future. Pakistan suffered a great shock with three major bomb attacks carried out in the country in the past month. In a recent attack, six people were killed when a suicide bomber blew himself up near the Lahore police headquarters. Less than two weeks ago, a Shia mosque in Peshawar was attacked during the Friday prayer (the most crowded time in a mosque), which killed 20 civilians and injured more than 50 people. The Pakistani Taliban undertook both attacks. Mohammad Horasani, a spokesman for the Pakistani Taliban, made a statement regarding the attacks and said the reason for the attack was the execution by the Pakistani government last December of Dr. Usman, who was said to be the mastermind behind the attack on the Pakistani Army general headquarters in October 2009. Horasani also said they would continue to take revenge and that these attacks were just the start. The gradual increase in attacks that target civilians in Pakistan points to the possible chaos in the country, which is going through a very critical period in terms of security and stability. Less than a month ago, another Shia mosque in Shikarpur was attacked, and more than 60 civilians died. In another attack on a military high school in Peshawar on Dec. 16, more than 150 people were killed, including 134 children. Following the attacks, the death penalty, which had been abolished several years ago, was reinstated and the militants who were held responsible for the military high school attack were executed. The main purpose of the attacks carried out by different groups in the Pakistani Taliban in the past month was to call the Pakistani government to account and take revenge. It was declared earlier that a wing of the Pakistani Taliban paid homage to the Islamic State in Iraq and the Levant (ISIL). ISIL aims to increase its activities in Central Asia as well as in South Asia, another unstable, volatile region after the Middle East. The Pakistani administration has taken new measures in order to follow an active and effective policy against terrorist groups especially after the military high school attack. After reinstating the death penalty, the Pakistani government also established military courts to make an imprisonment sentence quicker and increased the number and expanded the area of attacks in particular in areas close to the border of Afghanistan. However, these measures are problematic as they either focus on the expansion of current military operations or on the militants who have carried out the attacks. There is no policy aiming to prevent possible attacks and take pre-emptive action. Yet, there has to be efficient and effective policies that aim to deal with the daily problems of the Shiites and other religious minority groups such as discrimination and violence. 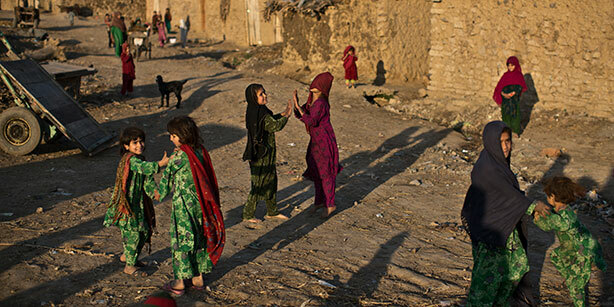 The Afghan refugees in Pakistan are one of the most affected groups from such attacks, which have increased gradually. These refugees, who had to flee Afghanistan due to the climate of war in the past 35 years and took refuge in Pakistan, have been experiencing hardship here but at the same time they live shoulder-to-shoulder with their Pakistani neighbors. In the wake of the recent attacks, Afghan refugees began to be exposed to violence and marginalization from Pakistani officials and their Pakistani neighbors. Even though the Pakistani Taliban carried out the military high school attack, two of the attackers were Afghan, and this is one of the main reasons there has been use of violence and anger towards Afghan refugees. The recent attacks in the country brought the Pakistani government and the opposition together on the same page after a very long time. It is clearly very important to get wide public support on the measures taken and develop policies to fight against terrorism. However, it is also a serious issue that these decisions and their implementations should be “right” and inclusive and should not exclude and factionalize the Afghan refuges and religious minority groups. 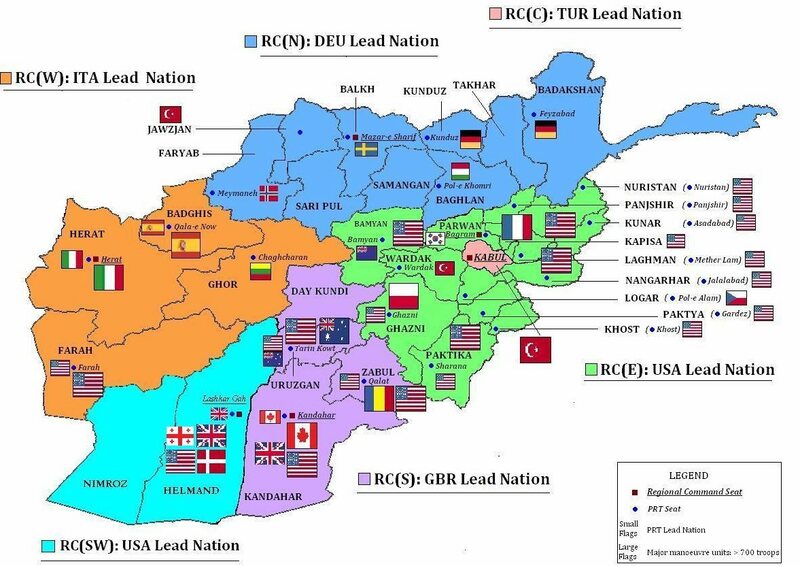 After all, Afghanistan is currently not capable of providing a peaceful and prosperous life for these people due to its unstable and unsecure environment. *Salih Doğan is a research fellow at the Turkey Institute, a Ph.D. candidate at Keele University and a research assistant at Turgut Özal University. LAHORE – Key postings of national flag carrier in other countries are being distributed among the blue-eyed officers in violation of merit, sources in PIA said. They pointed out that immediately after PML-N took over, Rashidullah, working as Manager Passports and Visa Facilitation, was given backdated promotion and posted as Country Manager America though he had no experience or qualification in marketing or sales department. “His only qualification being that he was younger brother of PML-N Senator Mushaidullah Khan, formerly Pakistan International Airline trade union leader,” the sources added. As if this was not enough, they said, yet another younger brother of Mushahidullah, Sajidullah, was also given backdated promotion and posted as Station Manger London. He had previously been posted as SM Washington during previous tenure of Nawaz Sharif. Another crony of Prime Minister Nawaz Sharif, Ishtiaq Lone who had faced grievous charges of irregularities, was posted as SM Manchester. Lone has only six month service left before retirement. This practice went unchecked despite the fact that PIA rules forbid posting a person with less than three years remaining from his retirement. Rauf also associated with Sharif family, was posted as Manager Birmingham. He was ‘obliged’ because his mother had served the Sharif family as Islamic teacher for their children. Dr Moqaddam posted as Station Manager Kuala Lumpur has been transferred and posted at Toronto. Similarly, Manzoor Junior who was serving as Station Manager Lahore was posted at Dubai. In a bid to cut expenditures, PIA Board of Directors had decided two years ago that only one Finance Manager would be posted in UK based at London, who would look after all stations. But three Finance Managers have been posted in London, Manchester and Birmingham. Sources further said that with accumulated losses running over Rs240 billion and liabilities exceeding total assets, foreign postings in PIA were being made at behest of travel agents backed by mighty politicians. Besides, a very powerful lobby involved in organised money laundering was also involved in such postings, they said.